Sydney Peace Foundation would like to thank our Partners In Peace: the City of Sydney and Singapore Airlines; our Peace Makers Alan Cameron AO, Stephen and Deborah Killelea, Joseph Skrzynski AO; and our Peace Keepers Jane Fulton, Marjorie Bull and Trudy Weibel, whose generous support makes possible the Foundation’s promotion of peace with justice and Australia’s only international prize for peace. We are also indebted to The University of Sydney, and our Event Partners for 2013, Flying Ruby Events, AV Rentals, Aria Catering, Well-Mannered Wines and Four Seasons Hotel Sydney. To achieve the goals of peace with justice the building of partnerships is crucial. Regular communication and consultation with our Partners affects the Sydney Peace Foundation’s choice of priorities in each year. In this respect the Foundation acknowledges the invaluable association with, and support from, the City of Sydney and Singapore Airlines; and we look forward to engaging with other key partners in the near future. The City of Sydney has demonstrated its commitment to the Sydney Peace Foundation by being a Partner in Peace since 2000. As beautiful as it is dynamic, the City of Sydney is the commercial, financial and cultural heart of Australia and an active player in the world economy. Sydney as one of the world’s most livable cities and leading business and leisure destinations.Both visitors and Sydneysiders benefit from the reassurance that Sydney flourishes in a climate of ‘peace’. The City of Sydney is proud to be associated with the Sydney Peace Foundation for the benefit of Australians and people across the globe. To read a message from the Lord Mayor of Sydney, Clover Moore MP, please click here. 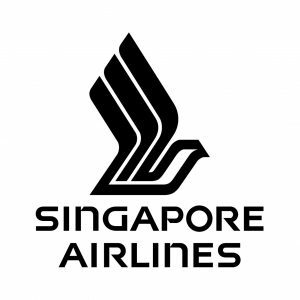 In 2012 the Sydney Peace Foundation welcomed Singapore Airlines as our newest Partner in Peace. The Sydney Peace Prize Recipient for 2012, Senator Sekai Holland and her husband, flew from South Africa to Sydney in the luxury of Singapore Airlines world-renowned business class experience. The Sydney Peace Prize Recipient for 2013, Dr. Cynthia Maung will soon share in this experience when she flies from Bangkok to Sydney in November. Singapore Airlines has come a long way since their founding in 1972, evolving from a regional airline to one of the most respected travel brands around the world. Singapore Airlines fly one of the youngest aircraft fleets in the world to destinations spanning a network spread over six continents. The Singapore Girl is an internationally-recognisable icon for the high standards of care and service that customers expect of travelling with Singapore Airlines. The Sydney Peace Foundation is a privately endowed Foundation established in 1998 within the University of Sydney. The University of Sydney was founded in 1850, and has grown to have over 3,000 academic staff, over 50,000 students from over 130 countries, and over 270,000 alumni, including prime ministers, Nobel laureates, Oscar winners, business leaders, medical pioneers, artists, and intellectual activists. Their cutting-edge research reaches across disciplinary barriers to find unique solutions to improve and transform our lives. The Foundation is grateful for a number of in-kind services as well as the moral support that the University provides. For a message from former The University of Sydney Chancellor and Governor of NSW, Her Excellency Professor Marie Bashir, please click here. Four Seasons Hotel Sydney a luxury hotel in Sydney located in the historic district of the Rocks, stunningly situated overlooking the Sydney Harbour and near the city’s vibrant shopping and business centres. The Four Seasons Hotel partnered with Sydney Peace Foundation for the first time in 2013, offering a complimentary night and heavily discounted rates for the 2013 Sydney Peace Prize recipient Dr Cynthia Maung and her guest. Flying Ruby Events is a boutique event management agency with over ten years’ experience, offering a 360 degree event service specialising in Gala Dinners, Exhibition management, Conferences, Cocktail Parties and Special Events. In 2013 Flying Ruby Events’ unique and creative team of event management experts partnered with Sydney Peace Foundation to produce and style the 2013 Sydney Peace Prize Award Ceremony & Gala Dinner, engaging new sponsors as well as setting up and managing the event on the day. The Foundation highly recommends their personalised service. Contact them on (02) 8073 7870 to discuss your event requirements. AV Rentals is one of the market leaders in audio visual event staging. Specialising in conferences, AGM, Gala Dinners and multi-screen special events, their history in equipment hire coupled with a versatile range and constantly updated inventory, enables solutions of proven reliability backed by a dedicated and expert staff. Keep your eye on the lighting, AV screens and video at the 2013 Gala Dinner and see their extra special lighting at work! In 2013 the Sydney Peace Prize Gala Dinner will be catered by ARIA Catering. With seasonal menus created by Matt Moran and executed by Executive Chef, Simon Sandall, coupled with the seamless service and professional management of ARIA Catering, we anticipate this year’s Gala Dinner to be an extra memorable experience. In 2012, Lowe Wines James Manners and Nick Bacon joined together to make wine… but what to call it? ‘Manners and Bacon?’ ‘No, but what about Well Mannered Pig? …. Well Mannered Wine Co. was born. With vintage in full swing, 2012 Rosé of Sangiovese (Mudgee) and 2012 Cabernet Merlot (Mudgee) started the ball rolling. 2013 will see the introduction of a white wine to complete the Well Mannered Wine portfolio. 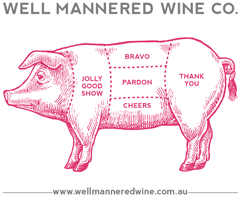 Manners is Well Mannered Wine Co,’s super premium range of wines from the diverse and exciting regions of New South Wales. Manners and Bacon are proposing a Chardonnay from Orange, bone dry Traminer from Mudgee and a Hilltops Shiraz, but they will role with the season jumping at the opportunity to transform the most spectacular grapes into beautiful, complex wine. Guests attending the 2013 Gala Dinner should anticipate a first-rate wine experience. Designer Chair Covers have generously donated 270 chair covers for this year’s Award Ceremony and Gala Dinner. 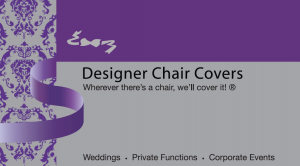 Designer Chair Covers is Australia’s largest wholesaler and manufacturer of chair covers, sashes, table linen. Thank you! Anything Themeing are able to assist with event & prop hire, themeing & design consultancy, set & prop manufacture and digital printing. Our services are designed to assist our clients from concept, through design and build, to final installation. If you can imagine it, we can create it – Call us today 02 9550 1321. Yellow Tail Wines From small, humble beginnings, [yellow tail] has grown to become one of the world’s leading and most recognisable wine brands. Despite its success, [yellow tail] remains 100% family-owned and estate-produced, based at a state-of-the-art winery in Yenda, just outside Griffith NSW. [yellow tail] is based on the belief that great wine should be great fun too, without the pretentiousness associated with complicated wine rules. [yellow tail] is everything a great wine should be; fresh, vibrant, full of colour and bursting with personality. [yellow tail] has generously donated the sparkling wine for this year’s gala dinner. 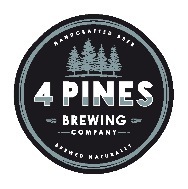 4 Pines Brewing Company have provided a large discount on their beer in support of the Sydney Peace Foundation. 4 Pines say: “Beer is our reason for being. And not just beer, but GREAT BEER! WE LOVE BEER and particularly 4 Pines Handcrafted Naturally Brewed Multiple Award Winning Beer.” And those at this year’s gala dinner are sure to be grateful for the care they put into their beer. Love Supreme Pizza – at 180 Oxford St Paddington – are all about the love, genuine love, as they have shown in offering their support to the Sydney Peace Foundation in any way they can and asking for not even a mention in return. “Emotional Pizza for One and All.” The Foundation would like to thank Love Supreme for providing their scrumptious gourmet pizzas for the Sydney Peace Prize recipient, performers, and volunteers, backstage at the City of Sydney Peace Prize Lecture. We look forward to sharing this delightful experience again on Wednesday 6th November with Dr Cynthia Maung, Lior and the Karen Done dancers. Brown Brothers – one of Australia’s leading family-owned wine companies, with the family making wine in Victoria for over 120 years. Despite many changes in the Australian Wine industry, the cornerstones of Brown Brothers remain constant. They’re still a family business, and the wines continues to be hand-crafted. Brown Brothers kindly donated two cases of wine that served as raffle prizes at the Sydney Peace Prize Lecture and at the Sydney Peace Prize Award Ceremony and Gala Dinner. The wines donated were in the 18 Eighty Nine range; the reds beautiful 2012 Shiraz and the whites refreshing 2013 Sauvignon Blanc. The wines were very much appreciated prizes – thank you Brown Brothers!